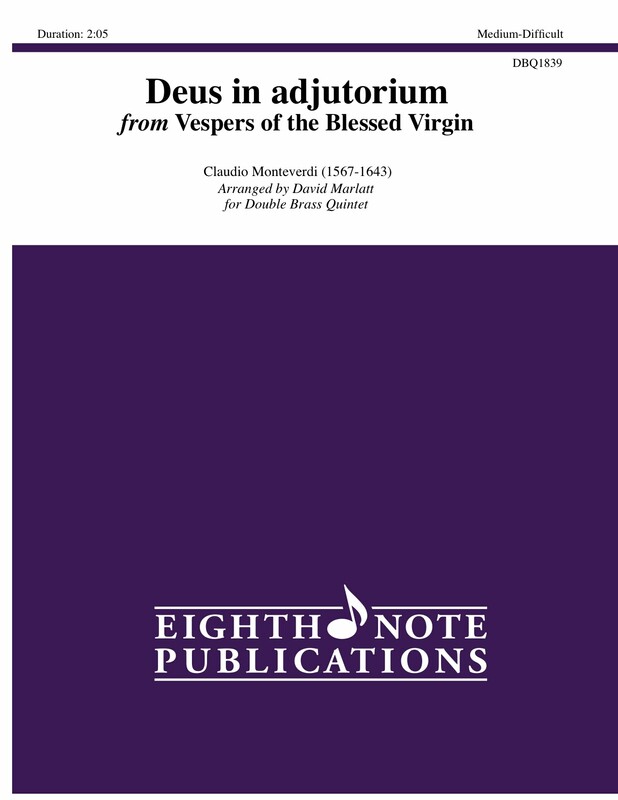 Originally written for orchestra and a large choir, this powerful work was to be performed in a large church in Venice, perhaps even Saint Mark's Cathedral. One Monteverdi scholar believes that this was written as a kind of "job interview" for a position as a composer in Venice. It has been arranged here for two antiphonal brass quintets.